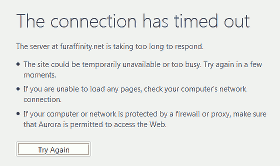 Online furry communities are reeling after a series of distributed denial-of-service attacks now entering their second day, which not only knocked out Fur Affinity, but have impacted a variety of less-well-visited art and chat sites. 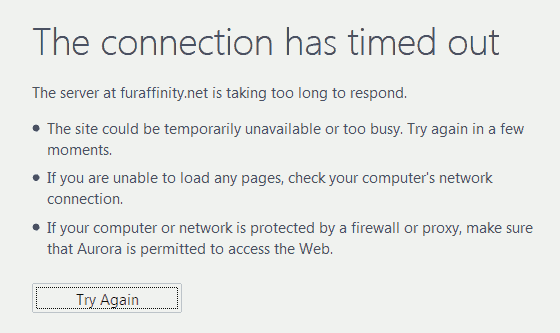 Fur Affinity has been practically unavailable since the disruption started, at 10PM EDT on Tuesday. Its forums, which initially remained up, went offline Wednesday afternoon. SoFurry was the next-worst hit, with almost complete downtime since their attack started, also late on Wednesday, while Inkbunny, Weasyl, e621 and F-list have all suffered attacks. Reactions to the attacks have been mixed, with Weasyl upgrading servers, while Inkbunny advised users to "take the opportunity to spend time with the important people in your life".